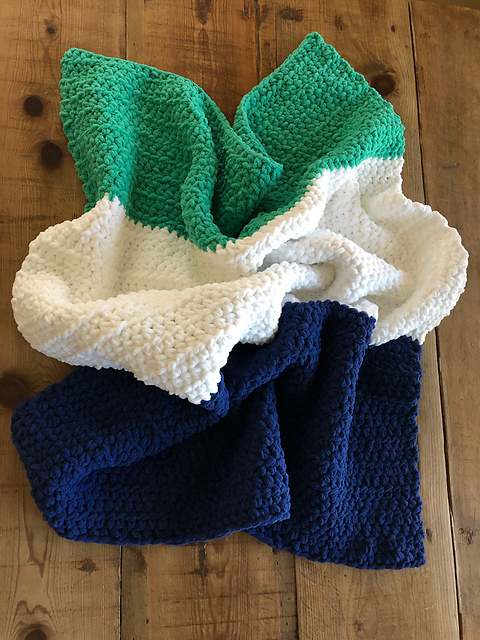 A fantastic children’s blanket made of three cool colours. The blanket is very warm and pleasant to the touch. 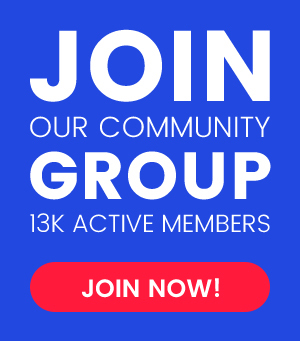 Read the article and find out more. The blanket is made of thick and brittle yarn. Thanks to this the blanket is very effective and child-friendly. It is a free pattern. The blanket is very easy and quick to make. The blanket is very easy and quick to make. Use a reliable yarn to work on the blanket Bernat Blanket Solids. The size of the project is 41 cm x 33 cm. 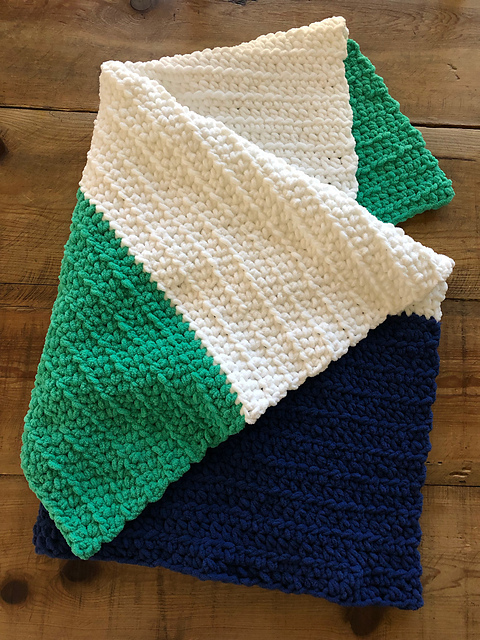 Color Block Baby Blanket Free Crochet Pattern is here.